The Wilhelm features 9, 12 or 18 evenly spaced ratios that make for a total gear range of 636% outlining the current pinnacle in shifting. Every gear conveys the immediacy of a single speed transmission while the centrally mounted gearbox creates an evened-out balance. Equipped with exclusive CNC-machined disc brakes by Trickstuff, a Brooks leather saddle and a Gates CenterTrack System, the Wilhelm can be fully customised according to customers’ requests. The Pinion gearbox gives a choice of 9, 12 or 18 gears and the bike comes in sizes 50, 53, 56, 59, 62, weighing 12,2 kg, 12,3 kg, or 12,7 kg depending on the choice of gearbox. Being sporty doesn´t mean less comfort. We have successfully managed to combine both features sportiveness and comfort with the Classic-geometry. 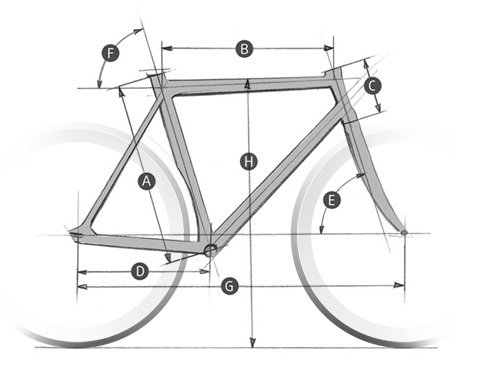 To achieve this, we took the geometry of our tough Single speed frame and modified it carefully by relocating the bottom bracket slightly lower and applying a slightly extended head tube and fork to compensate for the increased saddle height. Along with the extended head tube all Classic-series bikes provide a relaxed seating position and suitable for touring.